Did you know hospital admissions for anaphylaxis have increased fivefold in the last 20 years? Find out more as World Allergy Week commences - 7 to 13 April 2019. With World Allergy Week beginning on Sunday 7 April, experts have come out warning about the skyrocketing rates of the conditions as well as pushing for government funding of a National Allergy Strategy. 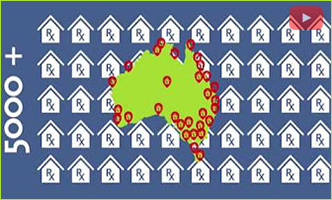 The National Allergy Strategy is a partnership led by the Australasian Society of Clinical Immunology and Allergy (ASCIA) and Allergy & Anaphylaxis Australia (A&AA), the leading medical and patient organisations for allergy in Australia. “We are talking about young people dying and going into emergency departments, in most cases due to anaphylaxis that could have been avoided,” says Associate Professor Richard Loh, a leading children’s allergy specialist. “The irony is that allergy specialists, GPs, families and consumers who live with allergy have developed a comprehensive solution.